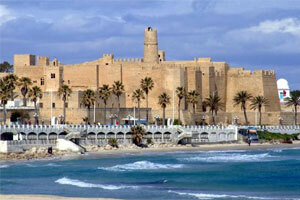 The Ribat – the fort at Monastir is a UNESCO's World Heritage Site. History lives side by side with excellent tourist infrastructure and pristine beaches. Puerto Banus? No, Port el Kantaoui - a pulsating and well-arranged tourist magnet nestling within 45 minutes of the airport, as does the Roman colosseum at El Jem, the biggest and best-preserved outside of Rome. As a major tourist resort, Monastir is a purpose-built tourist town of pristine streets and lavish landscaping located in north-eastern Tunisia. 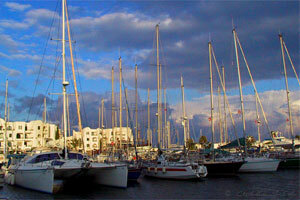 It has an attractive marina and an old fishing port. 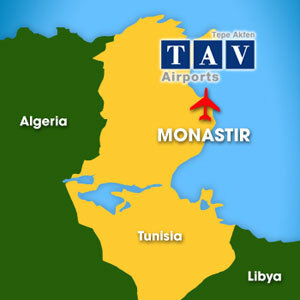 Most of Monastir’s tourist hotels are situated 5 to 6km west of the town centre of Skanes close to Monastir-Skanes Airport – Tunisia’s main international gateway for charter flights. 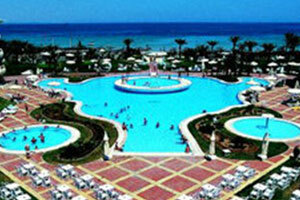 Monastir airport is also only a short distance from several other tourist resorts. Sousse is clearly the most complete, with both its old city on UNESCO’s World Heritage list combined with a beach life that never seems to stop. Monastir is also a town of history, with its ribat (fort) used in the filming of Life of Brian and beaches that rivals Sousse’s. But the favourite of many is Mahdia, the first capital of the Fatmids, the later rulers of Egypt. Small, slow and beautiful is a good description of Hergla, while Port el Kantaoui is a pulsating and well-arranged tourist magnet. 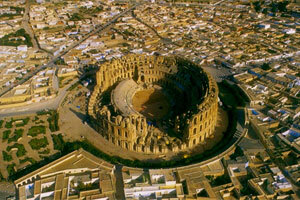 In contrast the holy city of Kairouan is just 45 minutes away as is one of the best preserved Roman colosseums anywhere, in the tiny town of El Jem. According to Garrett Nagle in his book “Advanced Geography” Tunisia’s tourist industry benefits from its Mediterranean location and its tradition of low cost package holidays from Western Europe. France, Germany, Italy and the United Kingdom are the four traditional tourist markets. There are scheduled services to and from Tunis and Djerba and all European capitals, and daily charter flights during the summer. The tourist sector represents 6.5% of Tunisia’s GDP and provides 340,000 jobs of which 85,000 are direct jobs – 11.5% of the working population. 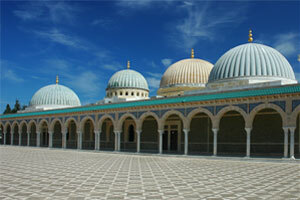 In recent years, ecotourism, spa and medical tourism are emerging onto Tunisia’s tourist scene and growing very fast. Monastir Habib Bourguiba International Airport and the Habib Bourguiba Mausoleum – the airport is named after the Tunisian statesman and the founder and first president of the Republic of Tunisia. 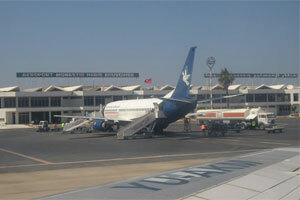 Please download the Monastir Habib Bourguiba Airport brochure. 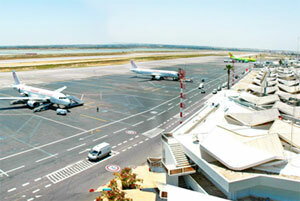 The international airport of Monastir-Skanès is 7km/4.5mi from downtown on the road to Sousse. 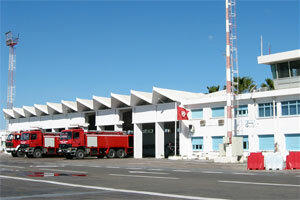 Connections are also good to other centres: On the west side of Medina the Métro du Sahel station offers regular services to the airport, Sousse (hourly), Tunis and Gabès. From the bus station (Gare Routière) at Bab el Gharbi on the southwest side of the Medina, there are regular services to Tunis, Sousse, Mahdia, Sfax and other places in the Sahel. 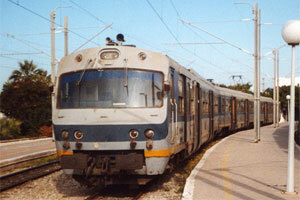 The journey times are 15 minutes to Monastir city, Sousse 20 minutes and, Hammamet 45 minutes. 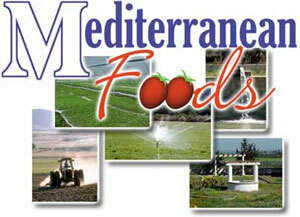 Tunisian producers offer high value air freight opportunities, especially with increasing liberalised trade. The airport is connected to downtown by light railway.